Hella 4WD Driving Lights - 12 Volt Technology. Looking for Hella driving lights for your Car, 4WD, Truck, Bus, Motorhome or RV then you have come to the right place, we have the Best Prices. We have the full range of Hella Driving Lights that are perfect for your, Car, 4WD, Truck, Bus, Motorhome or RV. We have the Jumbo, Rallye, Compact, Classic and LED Driving Lights . So if you are looking for a quality driving lights for your Car, 4WD, Truck, Bus, Motorhome or RV, then check out what we have to offer. If you can’t find what you are looking for, let our sales team know, they will be more than happy to help you out. Hella 4WD Lights There are no products in this category. Hella Predator XGD Driving Lights - 12 Volt Technology. Looking for Hella Predator XGD Driving Lights for your Car, 4WD, Truck, Bus, Motorhome or RV then you have come to the right place, we have the Best Prices. We have the full range of Hella Predator XGD Driving Lights that are perfect for your, Car, 4WD, Truck, Bus, Motorhome or RV. So if you are looking for a quality driving lights such as the Hella Predator, 1367HB, 1387, iX Series, , then check out what we have to offer. If you can’t find what you are looking for, let our sales team know, they will be more than happy to help you out. Hella Rallye Driving Lights - 12 Volt Technology. Looking for Hella Rallye Driving Lights for your Car, 4WD, Truck, Bus, Motorhome or RV then you have come to the right place, we have the Best Prices. 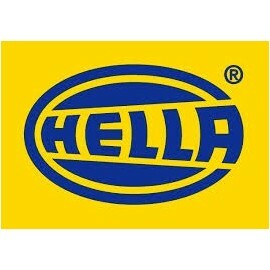 We have the full range of Hella Rallye Driving Lights that are perfect for your, Car, 4WD, Truck, Bus, Motorhome or RV. So if you are looking for a quality driving lights for your Car, 4WD, Truck, Bus, Motorhome or RV, then check out what we have to offer. If you can’t find what you are looking for, let our sales team know, they will be more than happy to help you out. Hella Classic Driving Lights - 12 Volt Technology. Looking for Hella Classic Driving Lights for your Car, 4WD, Truck, Bus, Motorhome or RV then you have come to the right place, we have the Best Prices. We have the full range of Hella Classic Driving Lights that are perfect for your, Car, 4WD, Truck, Bus, Motorhome or RV. So if you are looking for a quality driving lights such as the Hella Classic 181 Chrome, or 210 Chrome, then check out what we have to offer. If you can’t find what you are looking for, let our sales team know, they will be more than happy to help you out.